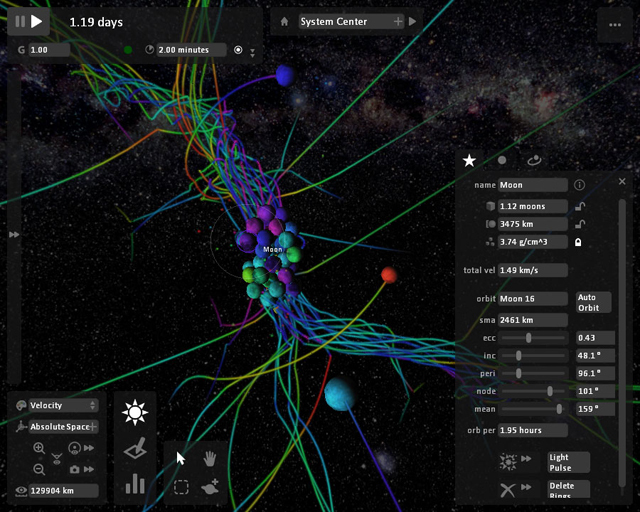 This interactive space simulator gives you the power to wreck entire solar systems at will… you know, as a learning experience. Universe Sandbox knows that even the most beautiful space simulator isn’t going to keep a kid’s attention very long unless she can break the rules with it. So it goes for broke right from the get-go, urging players to “smash moons in orbit around a fictional planet,” “watch moons collapse into one another,” and “collide galaxies for fun.” Talk about good user-experience design. The diabolically destructive fun is grounded in a scientific fact. But of course, all that diabolically destructive fun is grounded in a rock-solid scientific fact. Yes, you can break the rules of how the universe actually looks in real life, but not how it fundamentally functions. Which means that when you bash the Milky Way into the Andromeda Galaxy, the resulting spray of star-stuff is a faithful representation of what such a cosmic apocalypse would actually look like. 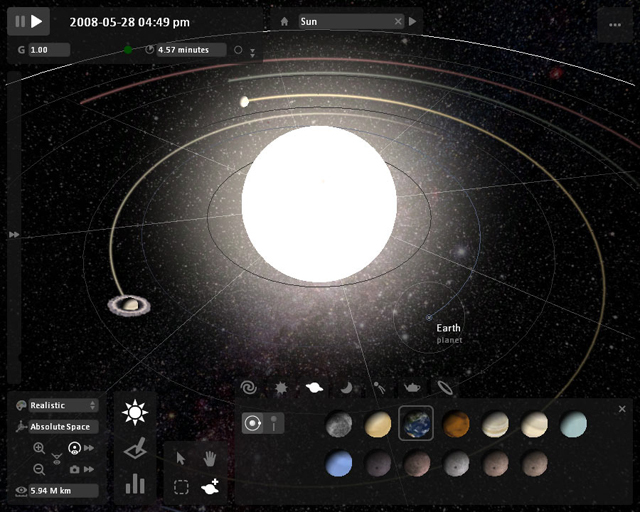 And when you’re done being a merely vengeful god and want to get more creative, Universe Sandbox is packed with geektacular features that let you visualize gravity wells, chart the paths of moons, rings, and comets, and even generate infographics like the one up top, which shows the 100 largest objects in the Solar System, lined up and to scale. Why Universe Sandbox isn’t available on the iPad yet, I have no #$*&ing idea, because it would be a blockbuster. In the meantime, you can only play it on Windows. Let the god-games begin!